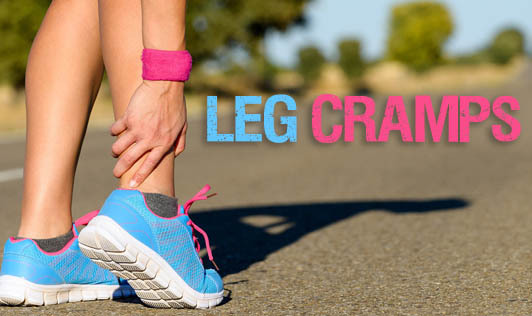 A leg cramp is caused by a sudden uncontrolled contraction (tightening) of a muscle. This can result in intense pain and inability to use the affected muscle. It occurs commonly during the night (while sleeping), or during exercise, or in pregnancy. Eat right to prevent Leg cramps!! • Eat lots of fruits and leafy vegetables for balancing the intake of potassium. • Have a few nuts and lots of whole grain cereals, pulses for magnesium. • For adequate calcium intake, have milk, curd, cheese, paneer, soy milk, tofu, almonds, ragi, spinach, and all the other green leafy veggies. • Vitamin E can be found in vegetable oils, nuts, seeds, soy bean, egg yolk, whole grains, and leafy vegetables. • Hydrate yourself with plenty of fluids such as plain water, fruit juices, buttermilk, lime water, etc, as leg cramps can be a typical sign of dehydration. • Stretch adequately before and after the exercise, and also stretch your legs before going to bed. • Do not over exert your feet while workouts or while walking. • Avoid crossing of legs for an extended period. • Rotate your ankles frequently while you are sitting. • Use the right kind of foot wear (which suits you the best). • If you have a sedentary lifestyle, get active!